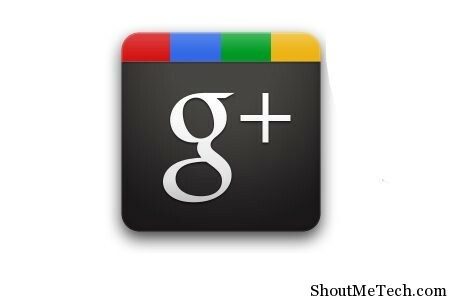 And, if we get Google plus vanity URL, I would keep something much cooler like http://plus.google.com/shoutmeTech or so on. Facebook already offers custom URL for profile and pages which you can easily grab it from here. Now, we have two choices, either wait for Google team to launch vanity URL/Custom username for Google plus profiles or use any existing third party sites which offers redirection. It works more or less as URL shortener but by the end you will get a short URL for Google plus profile, which does the job. Long URLs are annoying and in case you have a long Google plus URL then you have all the more reason to lament as it is so not happening because it just spoils your cool quotient on the site. Also, a Google Plus custom username is something that everyone desires. So why not have one? Did you know that you can actually shorten it and make it hipper than it is and there are sites that will help you do so? 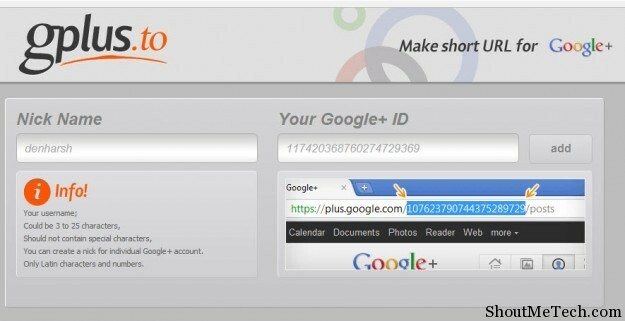 In case you did not know about and are interested in doing so, here are 4 Google plus Vanity URL sites for you. Before you actually use any of these sites you need to first know what your URL is and for that you will need to copy the digits that are present in the URL that is presently existing and then you can use the sites that I have mentioned below for the much needed change. Well, one problem which I see with these Google plus vanity URL sites is, they can shut down any time. For example, when I was researching earlier, I found a site call gplus.name which doesn’t work any more. Specially if you creating custom username for your profile for Business card or anywhere else extensively, it won’t be a good idea to reply on 3rd party sites. Right now, it’s not clear when Google will come up with their own custom username option for Google Plus profile, but till then if you are looking for better solution, these are good else create your own URL shorten-er. If you find this article useful, don’t forget to share it on Google plus and give it a like. I tried gplus.to and its a good one. Will try my hands on other sites listed here. I know only Gplus.to and I have used it before. Thanks for sharing other 3 websites.